Wall of Honor in Cloud Imperium’s Los Angeles office. Anyone who subscribed for one year of Imperator or Imperator Prime time during the first year of the subscription program (2012-2013). Findet jemand seinen Namen auf der Tafel? Subscriber können ab heute die RSI Polaris im Vorverkauf kaufen, bzw. dafür spenden. 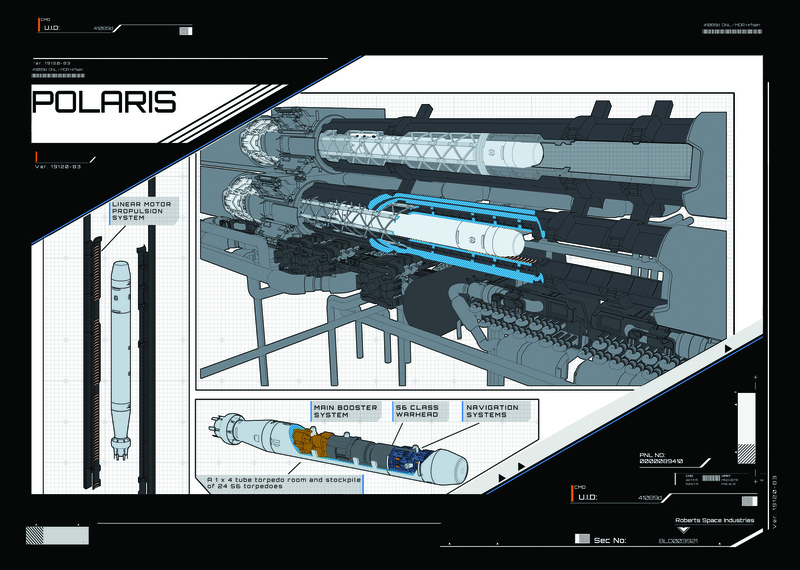 As a dedicated supporter of the United Empire of Earth’s previous war bond drives, you have been selected to receive an exclusive look at Roberts Space Industries’ latest fighting starship, the POLARIS. Developed as part of the new Military Mobilization Initiative, the ship aims to provide authorized militia units with military-grade hardware to help combat the Vanduul threat. The United Empire of Earth will commission the lead ship on October 9th, at which time reservations will be open to all Citizens. The Polaris is a nimble corvette-class capital ship that packs a powerful punch with a full armament of turrets and torpedoes. Intended for use as both a naval patrol ship and to serve as the flagship of militia operations, Polaris has the capacity to perform search and rescue operations, light strike missions and general security patrols. The Polaris includes the facilities to repair, rearm and refuel a single fighter, light bomber or support ship. The first wave of Polaris hulls, constructed for this pre-sale, will include unique registry numbers indicative of the order in which they were reserved. The sale page will show the next block of numbers being sold, but it cannot guarantee a particular number. Additionally, a printed version of the 28-page Polaris brochure will be delivered by mail; several preview pages are included in this post and the full digital brochure will go online on Sunday. The Polaris is being offered for the first time as a limited concept sale. This means that the ship design meets our specifications, but it is not yet ready to display in your Hangar, fight in Arena Commander or fly in the Alpha. The sale includes Lifetime Insurance on the ship hull and a pair of decorative items for your Hangar. 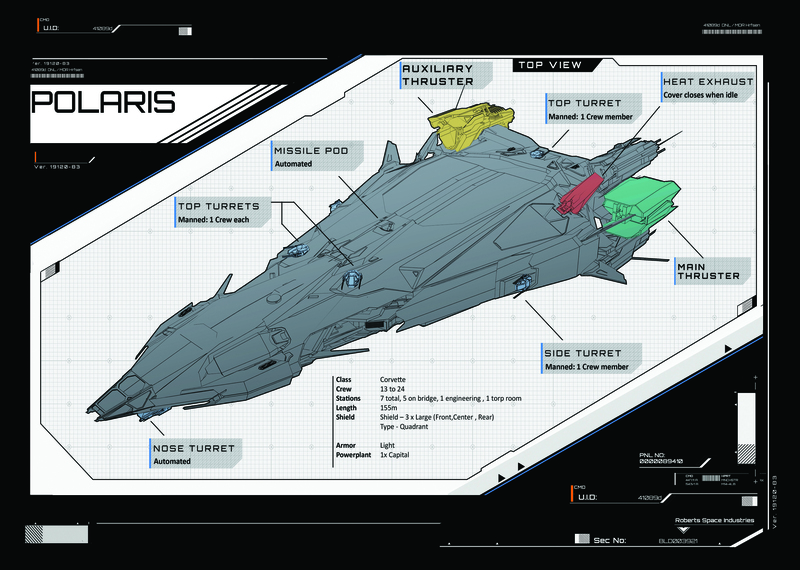 A future patch will add a Polaris poster and then once the in-game model is finished you will also be given an in-game Polaris mini ship model. In the future, the ship price will increase and the offer will not include Life Time Insurance or these extras. The special preview sale of the Polaris will be available until the end of the standard Polaris sale on October 17th, 2016. 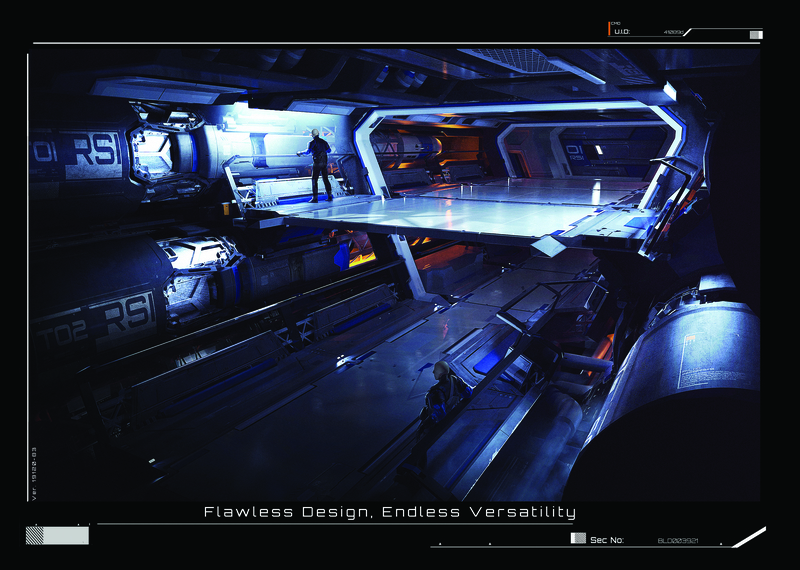 The special pricing is available only to Concierge backers, Subscribers and CitizenCon 2016 Attendees. The full brochure, holoviewer, tech overview and other information will be available at this time. The preview edition of the Polaris, which includes the numbered designation and the printed brochure, is available only with the e-mail coupon code. To allow for the discount, store credit is disabled for this sale. The regular Polaris sale on Sunday will allow for store credit purchases. Storecredits oder andere preissenkende Coupons funktionieren für den Vorverkauf nicht. Das Storecredits und Coupons nicht angenommen werden find ich sehr schade, sonst wär ich echt schwach geworden. Ich würd das ins Ausland outsourcen. Für w elche Farben habt ihr euch denn entschieden? Ich werd mit dem Gelb einfach nicht warm. Dieses matte Schwarz ist einfach zu schick. Irgendwer muss ja das Inkassobüro der GSE übernehmen. Bbin ich er einzige der sich bei dem Sale zu der verbilligten Jacke hinreißen hat lassen? Mit dem Military-Sale hab ich mir gerade meine Superhornet LTI gegönnt. workbench labs ideal for tweaking and overclocking starship components. Am Dienstag (Mittwoch?) startet der Verkauf, wer von euch wird schwach? Wie könnte man die Endeavor für die GSE vernünftig nutzen? 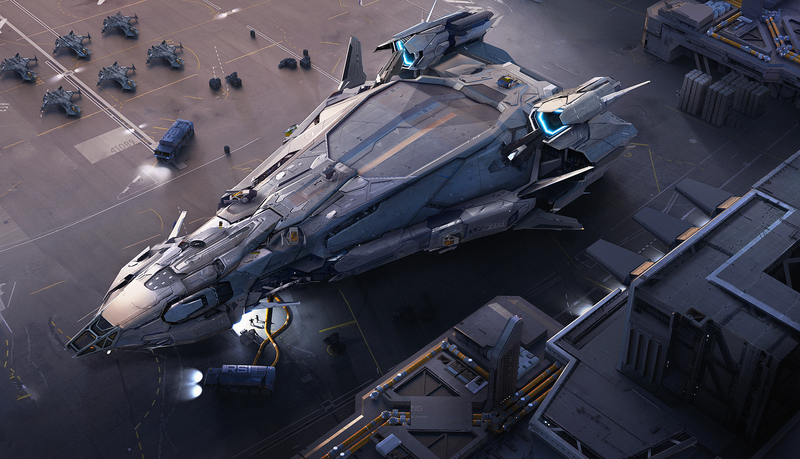 Concept Sale: Aegis Dynamics Vanguard "Warden", "Harbinger" & "Sentinel"
Die Vanguard ist schon richtig schick. Ist die Frontkanone der Sentinel oder Harbinger jetzt eine Railgun oder ist mit "Mass-Driver" was anderes gemeint? Das scheint ja einigen überhaupt nicht zu gefallen das die Gimbal S5 bei den beiden zusätzlichen Varianten weggefallen ist. Ich bin schon auf die Alternativen zur Frontkanone gespannt, eine munitionshungrige balistische Waffe ist für einen Langstreckenjäger meiner Meinung nicht ganz passend. Da bin ich mal gespannt welche Modifikationen es bei den Varianten gibt. Einen Manschaftstransproter würd ich pauschal mal ausschließen. Vom Preis mal abgesehen, wär der Starfarer eine gute Alternative zur Taurus. Neue Concepts der Starfarer + SALE!